Free Thanksgiving invitations, amIright? 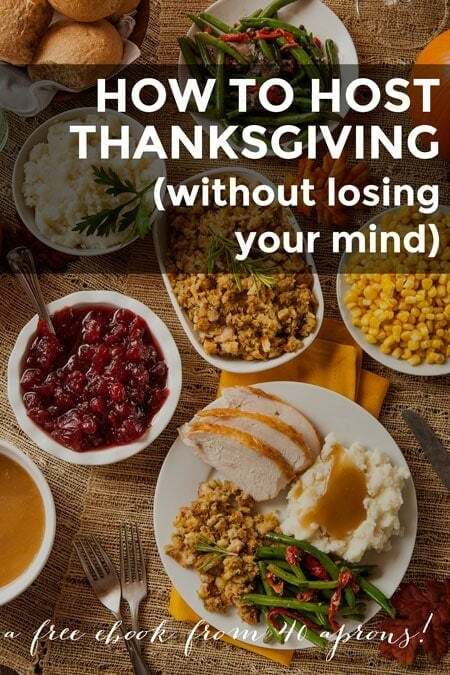 I’ve got that and tons of other super helpful info in my free ebook, “The Complete Guide to Hosting Thanksgiving (Without Losing Your Mind)”. To download your copy, simply subscribe to my blog. Simple as that! The ebook includes info about the free invitations, a full menu, all the recipes you’ll need, a master shopping list, a detailed timeline leading up to the day and a day-of schedule, and all the info you need to make informed choices such as which type of turkey to buy, how to roast it, whether or not to brine. It’s packed full of awesome info, and I know you’ll love it!